mathematics Related Most Question With Answer Set 84 And Current Affairs, Aptitude And Join the best Online Test Series & get all India Rank, Logical Match. Logical Problems · Number Series · mathematics and important Question & Answer with solution & Formulas in Hindi & English And Important Questions with Answers to Numerical Ability asked in Gramin Bank Office Assistant Exam And These all questions will very helpful to you for the forthcoming Bank exams, SSC CPO SI Delhi Police and Rajasthan Police and All Competitive Examination. Question(1) A is twice the speed of B and B is faster than C, three times faster. If a travel by C is fixed in 42 minutes, then how long will A fix it? A, B से दुगुना तेज है और B, C से तिगुना तेज है | यदि C के द्वारा कोई यात्रा 42 मिनटों में तय की जाती है, तो A उसे कितने समय में तय करेगा ? Question(2) Ramu 60 km of his journey Distance of 30 km From the move of the hour and 40 km Distance of 20 km What is his average move in the whole trip, if he decides with a move per hour? रामू अपनी यात्रा की 60 किमी. की दूरी 30 किमी. प्रति घण्टा की चाल से और 40 किमी. की दूरी 20 किमी. प्रति घण्टा की चाल से तय करता है तो पूरी यात्रा में उसकी औसत चाल क्या है ? 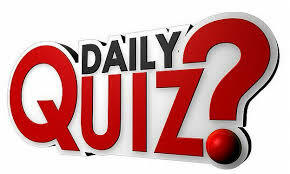 Question(3) A person walks away from his / her 4/5 to 20 minutes delay. How long will it take if he walks with his real move? कोई व्यक्ति अपनी चाल का 4/5 से चलकर 20 मिनट देरी से पहुंचता है | यदि अपनी वास्तविक चाल से चले तो उसे कितना समय लगेगा ? Question(4) The radius of a wheel is 3.5 meters. If you rotate 450 in a minute, then what will be the speed? किसी पहिये की त्रिज्या 3.5 मीटर है | यदि एक मिनट में 450 चक्कर लगाता है तो उसकी गति क्या होगी ? Question(5) One-kilometer race, Shyam defeats Kishan 400 meters and Sohan 200 meters, so how many meters will Sohan defeat Kishan? एक किमी की दौड़ में श्याम, किशन को 400 मीटर से तथा सोहन को 200 मीटर से हरा देता है तो सोहन, किशन को कितने मीटर से हरायेगा ?